Chris graduated from the University of Saskatchewan with a Bachelor of Science in Kinesiology (with Distinction) in 2014. He has worked extensively with a diverse client base as a CSEP Certified Exercise Physiologist, ranging from rehabilitative populations to high performance athletes. 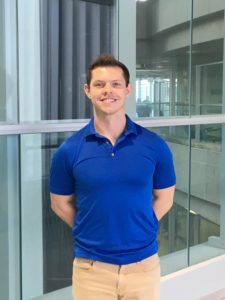 Chris is a Functional Range Conditioning Mobility Specialist and has a particular interest in the development and maintenance of joint health. Chris has been actively involved in martial arts for over 20 years, having both competed and coached at national and international levels. Though now retired from competition, he still teaches martial arts and enjoys weightlifting and snowboarding as hobbies.